 I already given a 5-star rating, but I also wanted to provide my two cents in case anyone is unsure about working with SWFL Webdesign. Not only is the team itself very versatile and easy to contact, but the support we get is amazing – the developers are very, very quick to respond to issues. It’s a great team and I would strongly recommend it. I am absolutely thrilled with our website! I have never had a website before but your training and design make it both fun and easy to maintain. …Thanks a lot for your help! your support is AMAZING. 5 stars from New York! Professional, fun to work with!My website was developed as I expected. Looking forward for my next project. SWFL Team is awesome and I recommend the company. Setting Goal came in handy with SWFL. The team helped my online business campaign right from the start. I want to thank you all!